Playparty.net's files are full of letters and emails of gratitude and appreciation from our wonderful clients. We are delighted to help make your child's birthday parties and other occasions special with our race car and LEGO parties. We pride ourselves in providing responsive customer service. Here is just a sampling of some of the wonderful messages we are grateful to have received. I just want to say thank you for a great racing activity! All the boys and girls ages 3-10 were so happy and busy for the entire three hours with the cars! The person who was running it did a great job as well. Thanks again, and I look forward to working with you again in the future. What a HUGE HIT! The Legos were awesome. The kids had a great time and the parents were in awe. We really appreciate it. You might be getting some more business in West LA area. Thanks again. I just wanted to let you know that the race cars were a total hit! We ended up keeping them for 1-3/4 hours and the kids could have gone longer. Everyone loved it and I got so many compliments and inquiries as to where I found out about your company. The attendant was great with the kids and kept everything moving smoothly. I am so happy I did this for my boys' birthday... They still are talking about all of the race cars they had at their house. Thank you so much for making such an amazing experience for kids. This really was a great activity!!! 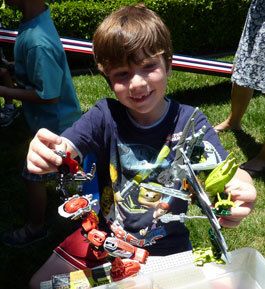 Hi Mike, I wanted to let you know that I had a lego party on Saturday that went exceptionally well in spite of the rain. The two party host that represented your company were so wonderful. I was scrambling around trying to figure out where to put the tables so the kids could play out of the rain. Your party host were so nice, calm and So helpful and worked it all out for me! Thank you! Great Cub Scout Event! Thanks to Playparty our cub scout event was a huge success. The kids had so much for with the race cars and all the different tracks to race on, the parents could enjoy socializing. Thanks to Mike and his staff! We will definitley use you again. 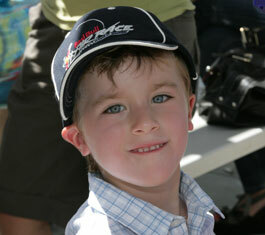 We just celebrated my son's 4th birthday and the race car party was a huge success! I love that the little girls get just as excited about it as the boys! 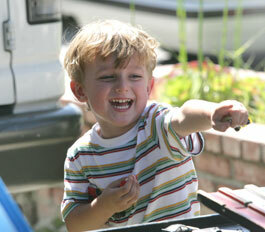 We have used Playparty for several parties now since we have two boys, and have always been very pleased. The staff is courteous and great with the kids. By the end of the party they know everyone's name. I highly recommend Playparty! My son and his friends had a blast at the Lego party. Thanks! The kids had a great time and the moms were really excited by how busy the cars kept the kids, i.e., no running around like wild banshees!!! I'll be sending a ton of referrals your way - lol! Thanks for such great service. My son's 4th birthday race car party was PERFECT thanks to Mike and his cool race car ramps! The kids, boys and girls, absolutely loved it. It kept them occupied the entire time. The party could have been double the time and they still would have been playing. I highly recommend getting the extra long gravity track and doing an hour and a half. An hour seemed too short! And Mike is the NICEST guy and very hands-on. Very reliable, showed up early to set up, etc. Made everything wonderful. I am sure I will use him again and try the Lego party next! All the adults asked me where I found him and raved about the party! Thank you Mike!! This was such a great fun party! Mike was very helpful with information and tips about party favors, number of tables needed, and so forth. He is very experienced and knowledgeable and he responded to all my questions and calls in a timely matter. Not like some other vendors that are a no show or take forever to call you back. Very reliable person to make the party as stress free and fun as possible. Definitely would call him up again! We booked Playparty.net's ultimate lego party for our son’s 7th birthday party. We supersized the package to include the Lego car and racing station, which I'm glad we did since it was certainly one of the kids' favorite stations. At first, I was unsure what to expect and wondered how interactive it would really be. We had approximately. 30 boys and girls for the party and they were all riveted to the Lego stations. Truly, they didn’t eat, didn’t come inside, and could have stayed out there for hours longer if given the opportunity. We dealt with Mike, who was both courteous and punctual. The kids loved it and I was just so happy to do this for my son, who is a total Lego fanatic! Wishing this company every success on bringing a cool, low-tech party idea to families. I highly recommend Playparty.Net. They have two party options, Race Cars or Lego's and I have used them both. They come out and set everything up and the kids get to play. They have always been on time and are very friendly. I would definitely use them again and recommend to all my Friends and Family. A BIG Thank you to all the folks over at PlayParty.net, thanks for always making my kids birthday's such a success. My son and his friends LOVED Mike and his Legos. 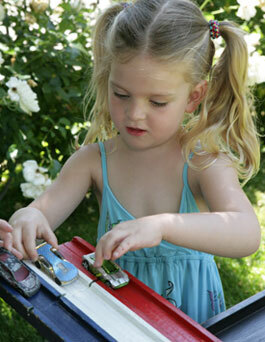 It's a great way to keep them active and having fun! When my 7-year-old son requested a Lego birthday, I grimly imagined digging through boxes and cupboards for enough spare Legos to entertain a group of lively little boys for two hours. Then I Googled "Lego party" and found Play Party! I filled out an online request, and Mike called me back immediately and booked my party. I was grateful that he did not threaten to give my space to somebody else unless he received the booking fee within a certain number of days. The fee was reasonable, and Mike seemed very trustworthy and confident that the party would be fun for the boys. He arrived right on time and set up an amazing play area with various Lego projects, including a really fun racetrack. I had secretly feared that the kids would run in, tinker for a few minutes, and then ask what else there was to do. But to my delight, my son and his friends were completely, happily absorbed for two solid hours. They only reluctantly emerged for pizza and cake. When my husband saw the bill, he was really pleased. "I think that's the best entertainment we've ever had." It's stress-free, kids love it, and the price is right. I highly recommend Playparty! Our homeowners association has hired MIke for three years now for our annual community picnic and we couldn't be happier. The kids love the Roller Coaster Track and the All America Dragstrip and Gravity Track. Mike is very reliable, always shows up on time and is very pleasant to work with. We will always hire Play Party for our picnics. We hired Play Party for a Lego party for my son's 6th birthday and we couldn't be happier. Mike arrived on time and set up several tables of Legos. There were sports tables, castles, a car ramp for racing, plenty of minifigures and a Hero Factory bin. My son and his friends had a blast. Mike was polite and helpful, happy to assist the kids or just let them build. I would definitely hire Play Party again. We had Play Party come for a Lego Party for my son's 7th Birthday Party. Mike was fabulous with the kids and the kids were completely engaged the whole time- we even extended the party because the kids were having so much fun. Great Party for any kid that likes Legos! It was an easy and smooth process working with Mike! Hi Mike, I just wanted to say thank you! There were over 40 children that showed up and all of them had an awesome time with the Legos. The gravity track was also a great addition to the lego party. The attendant that was there worked really well with the kids. I ended up keeping him there until the end because the kids just couldn’t let go. They were having so so much fun!!! THANK YOU! Just wanted to thank you again for such a fun time. The kids had a most wonderful experience and the parents had never seen anything like that before. 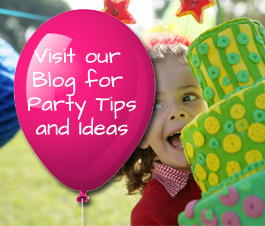 It's hard to stay ahead of the game with new party ideas. You were a pleasure to work with and I appreciate your easy going manner and the way you interacted with the kids. Thank you, thank you. Hi Mike, Just wanted to drop a note - what a great party! The kids loved the cars and tracks. It was a hit! Thanks again. We just had my son's LEGO party and it was great. Thank you so much. Your guy was right on time and so pleasant. He was great with the kids too. The kids had a blast playing with the LEGO's and everything was so easy for me. I just wanted to let you know how much fun everyone had today with your race tracks and cars. I have had more positive feedback from other mom's than I have ever had. It was amazing to see how the kids got into the event! Some of my guests wanted to contact you so -please mail me some more of your business cards - and in the meantime, I just directed people to your website. Thanks again. Thanks... party was a HUGE success... a little 8 year old boy went to bed with a big smile! Thank Tony for me! He was great! I will be back!!! Best regards. We got so many positive comments last week about your event. We can't thank you enough for working with us. I look forward to working with you in the future. Just a quick note to let you know how much we enjoyed the race track party last Sunday! Timothy and his friends loved loved loved all of the race car set ups and activities, and the parents thought it was a great and unique concept. The gentlemen who set everything up and was the attendant at the party was great and was wonderful with the kids. Many of the parents asked for your company's card. It was a hit! Thank you so much for making Timothy's 7th birthday a very special success. We have a 2 year old boy who has many birthday parties in his future and we will do business with you guys again soon. Have a wonderful weekend. Party was awesome! We had the race cars for over two hours because the kids were having so much fun! The girls loved it too! It's a fabulous concept and a rockin' good time for the kids!! With the rain, I had 28 kids in my house and about 40 adults so it was crazy but so very fun. Thanks again! I just wanted to tell you what a fantastic job you did yesterday as Rowan is sitll talking about his "Hot Wheels" party. You really did an amazing job keeping the kids entertained and having fun. I cannot thank you enough for your talents and gifts you brought into our home. Thank you and I will be referring you to EVERYONE. Cheers. Thank you so much for the great LEGO party. Max had such an amazing time and he said "it was the best birthday party ever!" He already knows that he wants you back next year, but wants you to bring different LEGOS :) Maybe we'll try the racing party! ... Everything worked out so well, thank you for your punctuality, thank you for your service and thank you for making Max's 5th birthday so fun! Just wanted to say thank you! The race car was such a huge hit with all the children, both the boys anbd girls. My son loved it. The host you sent was very friendly and did a wonderful job. Thanks again! I just wanted to thank you for making our 4 year old's birthday a special one. The race cars were a HIT!!!! Every child, girl or boy, was loving it and having you there for 3 hours was well worth it and looking back I wish I had you there longer. I just wanted to say thank you for the awesome tracks you set-up for Dane's birthday party Saturday night. The kids had a great time and everyone said it was so much fun! Thank you also for being able to accommodate us on such short notice - I appreciate it and you definitely added to the success of the party!